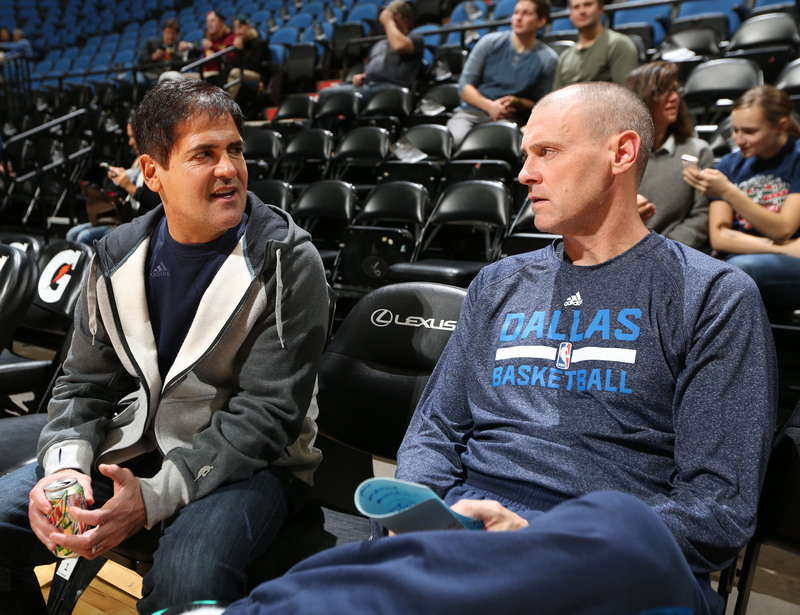 How Much of the Mavericks' Misbehavior Falls on Mark Cuban? In the latest episode of the Open Floor podcast, we discuss SI's investigation into the Mavericks and whether Mark Cuban is responsiblity for their corrosive culture. The Dallas Mavericks are embroiled in a sexual harassment scandal that created a corrosive culture within the organization. In one of the most heated Open Floor podcast episode, Andrew Sharp and Ben Golliver discuss the sins of Terdema Ussery and Earl K. Sneed, the culture within the team at large and the responsibility of Mark Cuban as owner of the franchise. Ben Golliver: I want to start on a slightly more serious note if that's OK, and obviously I'm referring to Jon Wertheim and Jessica Luther's investigation into the Dallas Mavericks. If our listeners have not read that, I encourage all of them to go read it. Male listeners, I encourage you to forward it to the women that you care about in your life, ask them for their thoughts on it and listen. My guess is that you're going to come away with some experiences that maybe you hadn't heard about before in terms of their working life. That was certainly the case for me. I did that this weekend. It was eye opening. You think you know sometimes about what goes on on a day-to-day basis in the lives of people you care about, but you don't always know. Not only was this a great story in terms of revealing patterns of questionable behavior by one key executive and some criminal behavior by a writer for the Mavericks' team website, it's just also an opportunity for some heart-to-heart conversations. Sharp: Absolutely, I think that's part of the value. It's going to be starting conversation around this in sports. I don't think that some of the misbehavior is limited to the Mavericks, and getting out in front of it, particularly on the NBA side since that's what we cover, I think that it's a good opportunity for other teams to look inward and see where they can improve, what problems they have and be proactive about this. I hope that is going to be the impact of the Wertheim and Luther Mavs investigation. Honestly some of that should have happened already, but that's sort of where we're moving. Golliver: It also needs to be a look inward movement for Mark Cuban himself. I think his response so far to me has really been mixed results. He tried get out in front of it. He tried to take accountability. I didn't think his explanations on each point were very great. I mean he said he kept an employee after a domestic violence arrest because he wanted to make sure the guy didn't go somewhere else and do the same thing. Come on. That's not good enough, not even close. He tried to say this were former employees I fired, I cleaned house. He said the things you would sort of expect, and I think this is really a moment if reckoning for him about his own behavior, about his entire ownership tenure in Dallas. It's not just trying to sweep this under the rug and move along. It sounds like he's serious in terms of this investigation that he's launching into his organization. We do want to sort of serve judgment until we hear the results from that, but what Cuban needs to realize here is it's always been tempting for him to portray himself as this maverick, this guy who thumbs his nose at authority. He's going to change the old-fashioned way the NBA does business. He's the owner; he can do what he wants. That's how he's always kind of portrayed himself, but what I think this episode shows is that sets a real tone, and it explains how much power leaders actually have in terms of creating a culture underneath them. Maybe it's not the world's biggest deal if he runs onto the court once and stares down David Stern over some foul calls, but when you have that pattern of behavior where you're constantly running afoul of league rules and regulations and you have bad actors in your organization, what message are they taking away from that? Are they feeling the comfort needed to carry on behavior like his former president did for years and years and years, and so to me when we start to have this talk about corrosive locker room environment or it's like animal house or whatever, that definitely starts with Cuban. And when you look down his track record of what he's done, he trampled the NBA's tampering rules, he's gone after the refs time and time again, public disputes with David Stern, fast and loose, it all contributes to that environment, and you could definitely see why female employees working that organization would feel intimated—as they said in the story—who would feel they didn't have anyone to go to—as they said in the story. And you would also why male employees would feel protected. If the boss is doing all this crazy stuff, who's really going to come after me if I get in trouble and all of these guys are going to have my back. It just creates a very questionable dichotomy that he's going to have to answer to. And I'm not saying overnight because of this story Mark Cuban is all of a sudden a terrible person, but I think he needs to realize he's two people at the same time. He's the person he wants to be—that guy who gives no F's, the fun-loving owner who does it his way. But he's also the guy who sets the ground rules for his organization. Who basically determines in a large manner the behavior of employees and he's also the guy who looked the other way, as he's admitted, over the course of years as these things were happening. He needs to realize he's both of those people, the guy he wants to be seen as and the guy he's now being portrayed as, and he needs to reaction to that. Sharp: I understand what you're saying. I do think that you're sort of conflating a lot of different dynamics here, some of which are related and some of which the connections are a little bit more tenuous. Cuban screwed up, and he's admitted to screwing up with the way he handled this and he's been pretty clear. I think his exact works were, 'I F-ed up' and he said that a number of times. His mistake is trying to explain his rationale at the time and think that anyone would be OK with his thought process then, because it was a mistake then. 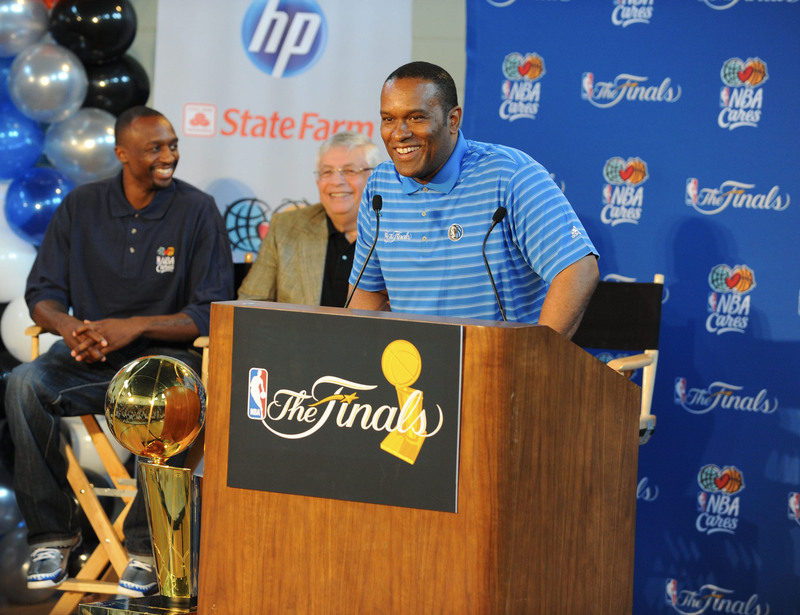 The writer, Earl K. Sneed, who I've met before, he got arrested at the team facility and the Mavs thought it was OK to bring him back. That alone sends a message to the rest of the organization far more than anything Cuban has done related to the league. Golliver: But it fits in. It's like of course Cuban's going to bring him back, right? It fits into his personality. Sharp: Well, I think Cuban's bigger mistake was hiring Buddy Pittman, the HR person, and the team president, who also figures heavily into the story, was in Dallas before Cuban bought the team so I don't totally pin that on him. Golliver: I do if Under Armour fires him after two months or he basically leaves Under Armour after two months because of his behavior that's clearly an organization that has a healthy culture with checks and balances in terms of human resources. If he's just chilling in Dallas and he's there for 15 years and he's making a lot of money for Cuban and he's in a huge, prominent role in that organization, I just don't buy this idea that Cuban's going to try to say I'm on the basketball side, I'm not on the business side. My point is this: Cuban's influence extends throughout the organization because he's the boss. Everyone turns to that boss as the icon for what's OK, what's not OK. Clearly what's OK in Dallas is different than what's OK around the league. Sharp: That's fair. I also think he deserves to get hammered for this. I just think that you're drawing a connection between public Cuban and a case where I think he's most guilty of turning a blind eye and not wanting to look at some of the more disgusting elements of some of his employees behavior, which unfortunately is a human thing. The most important byproduct of some of these investigations is going to be to make it clear to people like Mark Cuban—because again, I refuse to believe this is limited to the Mavericks—but the value of these investigations is making it clear that it's not acceptable to just take your employee's word for it and ignore the police reports about a domestic violence incident or it's not acceptable to hire an HR guy who may not be listening to female employee's complaints. I think there were structural issues and there were personal failings of the people in charge, but some of it I understand where Cuban is coming from, if that makes sense. Golliver: No, it doesn't really. He got caught. This is his worst-case scenario. He made some bad hires, but he also oversaw a culture that produced a title, had an unbelievable basketball operations, as Jon Wertheim wrote, the players were never involved in any of the kind of harassment. So there's certain aspects to this organization that were top shelf that are absolutely models around the league, but Cuban has some weak parts to his personality, whether it's ego, hubris or thinking you're about the law, thinking you can do anything, being so rich that you can buy yourself out of any situation. Those kinds of things, I think that mentality and those personal weaknesses or flaws contributed to all of this. I think otherwise he would have different responses along the way as these things were being brought up. And I believe the executive was kind of first called to the carpet by local media back in the '90s for some of this stuff, and he just stayed on forever. To me, again, that's on Cuban. There's no escaping that. Sharp: It's totally on Cuban. I'm just saying I'm not outraged as much as I think this is a bigger problem that exists in a lot of different places that we should be working to correct. I think the Mavs will get hammered, I don't necessarily think the tanking fine is going to be it. That will actually pale in comparison to what the NBA actually does to Cuban as this process plays out. Golliver: I agree. But don't you think that was sort of the warning shot. It was Silver's way of saying, 'Hey, get back in line.' That's how I read it. Sharp: What do you think about the comparisons to Donald Sterling? Golliver: If Cuban had been his team president doing all those things and harassing his employees, then I think the comparison makes more sense. I'm not necessarily advocating at this point to take away the franchise, but I would like to see what this investigation unfolds. If it goes deeper and darker than what the two writers were able to uncover, then I think all options should be on the table. I'm not saying rip away the franchise from him and I'm not saying he's a horrible person through and through. The difference with Sterling was that was the case. As soon as it came out, I was like OK we have to banish this guy immediately, as quickly as possible. Whatever it takes to get him out. So that's the contrast, but if I'm Silver I want to see that investigation and frankly I wish the NBA had done it's own investigation. I wish they weren't letting the Mavericks run this. Sharp: I'm surprised they aren't, and before we move on I just want to be clear that I'm not defending Mark Cuban, I just think that it's a broader cultural problem that we're all sort of reckoning with right now. And there are a lot of people, who aren't necessarily bad people, who kind of avert their eyes to bad behavior that then become part of the problem sometimes unwittingly. And I think that is ultimately what investigations like these are going to end up changing. Hopefully. Golliver: And I think there are sometimes people in power who have different types of bad behavior that can create a culture that allows all sorts of misbehavior to go unchecked because it just sets a tone.